Here are 2 delicious, yet healthy seafood/shrimp recipes that many us enjoy at 2 popular restaurants Ruth Criss and Red Lobster, both of these recipes come out of the Metabolic Cookbook. 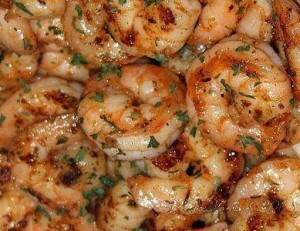 If you haven’t checked out the first 2 posts on 3 healthy shrimp recipes, check them out here…. 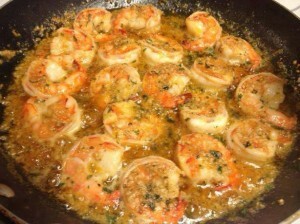 – Using a skillet on med-high heat add olive oil and shrimp. Cook until tender and reduce heat. Remove shrimp and set aside. Add garlic and cook 2-3 min. Don't allow garlic to brown. Add white wine and lemon juice. Cook until wine is reduced by half. Add Italian seasoning. Reduce heat to low and add coconut oil. Add the shrimp back into the skillet. Add parsley, salt and pepper to taste. Add grated Parmesan cheese. Steve & Enjoy ! !